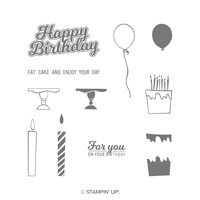 Stamp Bundle | Blow Out the Candles Photopolymer Bundle | Stampin' Up! 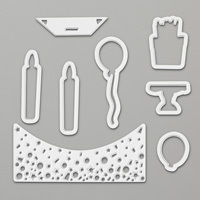 The classic birthday ingredients in a funky new design. Try them out! Create balloons, candles, and confetti in record time with Framelits dies and the Big Shot. The confetti die can be used as a peek through or to make confetti for a shaker card.